Will this prime Bay Area real estate go up for sale? San Quentin State Prison. Los Angeles Memorial Coliseum. The California State Fairgrounds. Gov. Arnold Schwarzenegger's plan to put some of his state's biggest landmarks up for sale to help erase a $24 billion budget deficit is fraught with questions, chief among them: How can California taxpayers possibly get a good deal in this slumping real-estate market? Schwarzenegger, who has also proposed deep cuts in education, health care, welfare and parks, wants to sell off some property outright, sell office buildings and then rent them back from the new landlords, and lease some state land to developers. "Everywhere I go, I hear stories about families selling off their boats and motorcycles to make ends meet. They have garage sales and yard sales," he told the Legislature this week, offering his rationale for selling assets. "They know that you don't have or keep a boat at the dock when you can't put food on the table." The governor said California could generate $3 billion from selling 7 landmarks and 11 office buildings scattered around the state. In most cases, however, it would take a few years to complete the sales, doing nothing for California's immediate budget crisis. Moreover, selling in the middle of a recession and a downturn in real estate is a questionable proposition. "Fundamentally, this is the wrong time to do this," said Robert Griswold, a real estate author and member of the planning commission in San Diego. "The market is down and is now in the favor of people looking to buy these properties and not in the favor of the state." Fred Aguiar, Schwarzenegger's secretary of consumer services, defended the proposal, saying many of the properties cannot be compared to ordinary commercial or retail space because they are unique and often sit on prime land. He said potential buyers have already inquired about the sites, though he would not identify them. "These are some very valuable properties," Aguiar said. "When you start a bidding process on valuable properties, I think a lot of people will be surprised at the kind of prices they will fetch." 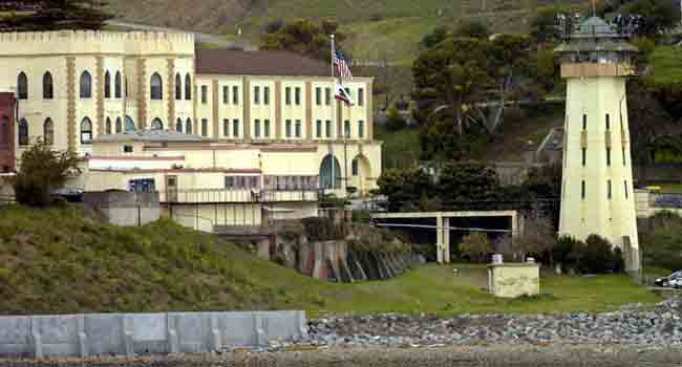 The state estimates that San Quentin State Prison, situated on 488 picturesque acres on the San Francisco Bay, could bring in $1 billion in today's market. It is widely assumed that any buyer would be interested primarily in the land and might tear down all or some of the 1880s prison to make way for condos or some other development. It is unclear, however, where California's death row would be housed, and how long it would take to move the prison's 5,150 inmates. That process could cost many millions of dollars and eat into any proceeds from San Quentin's sale. The state has not put a price tag on the Los Angeles Memorial Coliseum but estimates any sale of the 86-year-old stadium could take two to three years. The expectation is that a buyer would continue to operate the stadium, which can seat more than 100,000 people and was the site of the 1932 and 1984 Summer Olympics. Democratic state Sen. Rod Wright said lawmakers should be careful about holding a fire sale of valuable landmarks. "When New York was in the middle of a crisis, they never considered taking out Central Park," Wright said. "It would be like the Romans trying to sell the Trevi Fountain or the French trying to sell the Arc de Triomphe or the British trying to sell London Bridge. Those are landmarks."